Keeping your kitchen clean and tidy can be a daily struggle. Between trying to feed your family, cooking homemade meals, and making sure the dishes are clean by the next meal, our kitchens are just a recipe for a mess. As a work-at-home, homeschooling mom of three, I totally understand how hard it can be to keep the kitchen clean. 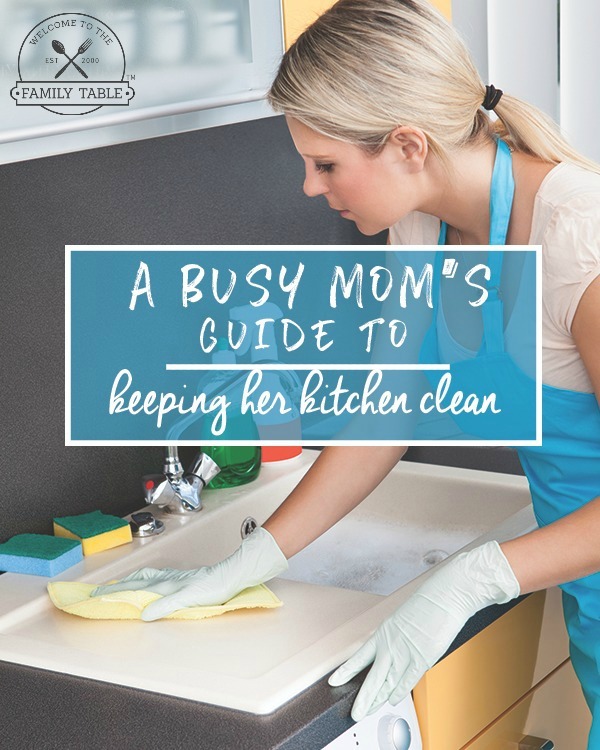 So, I put together this guide to help busy mom’s keep their kitchen clean in the midst of busy days. TIP: It’s helpful to have both a morning routine and evening routine as it helps your family be more consistent. We’ve found that these routines have become a valuable resource in our day-to-day as we continually strive to do our best. Train your Kids to Load and Unload the Dishwasher. Even if left unattended only for a single day, our kitchens can start to get pretty unsanitary. It never fails that when one dirty plate is left on the counter or in the sink, it’s an open invitation for more and more. 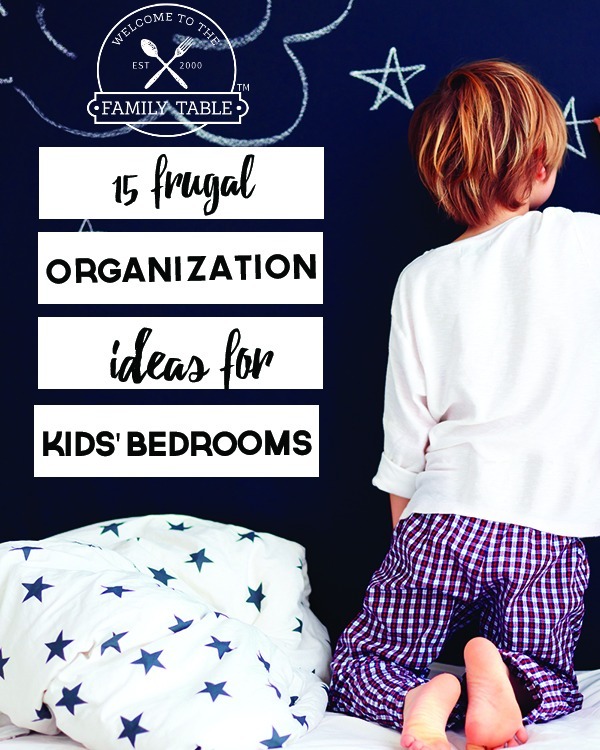 Teach your kids to help load and unload the dishwasher, taking some of the workload off of you, and getting your kids involved in the housework. If you have younger children, make sure to keep an eye on them and help them handle dishes. If your kids are too young to handle breakables, they can still help with things such as tupperware. It is never too early to train them to help and it it will lead to great character and life skills for them for them such as: hard work, team work, and diligence. Keep your Kitchen Cleaning Supplies Organized. Nothing will make your kitchen run smoother than if it is well organized, especially your cleaning supplies. Make sure all the tools to clean the counters, dishes, and hand are always easy to find and organized. Keep your cleaning rags, soaps, and anything else you use to clean up the kitchen in a caddy organizer or special bin under your kitchen sink. This will save you time, and help make sure you have everything you need all in one place. TIP: If you are anything like me, you appreciate SAFE, natural cleaning supplies that won’t damage your family or home. 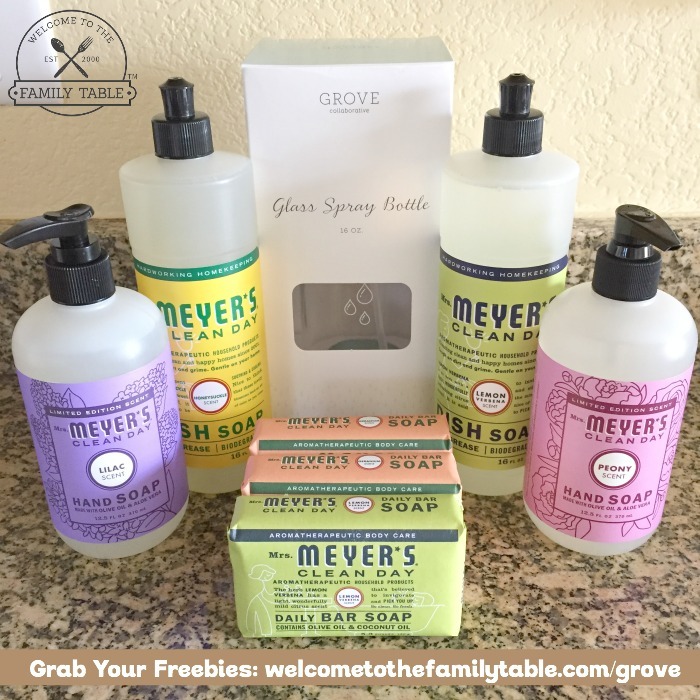 Our go-to place for organic/green cleaning supplies is Grove Collaborative. They have wonderful monthly deals and if you join their VIP Program (we did!) you get FREE SHIPPING on every order and exclusive freebies from time-to-time. Last month we got this fabulous 140z glass spray bottle for free! Organize Everything in your Kitchen Using Containers. Containers help minimize clutter in your kitchen and make things easier to find. Just as we organized our cleaning supplies by putting them all in one place, you should do the same with other kitchen items as well. For example, use a basket or bin for entertaining dishes, holiday dishes, and place mats. Use a basket for essential oils, and organize your food in bins in your pantry. While it might feel like you are just boxing up your kitchen, you’ll know exactly where to find everything you’re looking for. Keep your Counters as Clear as you’re able to. You’ll be amazed at how much easier you kitchen will be to clean when you clear your counters. Find a home for appliances that you don’t use often, and avoid keeping unnecessary decorations on your counter. The less clutter on your counter, the more you will be motivated to keep it that way. And be sure to always sanitize your counters, too. By doing this you are ensuring a safe, healthy kitchen for your family to prepare food in. And let’s be honest, it’s always good to be able to set a paper or book down on the counter without risk of it becoming sticky or wet. Ha! Life gets busy. Getting to work and getting the kids ready for school each morning is hard enough, let alone making dinner each night and trying not to trip over toys. While your tendency may be to save your kitchen for later; don’t! It will be much easier to keep your kitchen clean if you clean it as you go. When you are done eating, move the dishes straight to the dishwasher, and when you are done cooking make sure you wipe down and sanitize the counters. 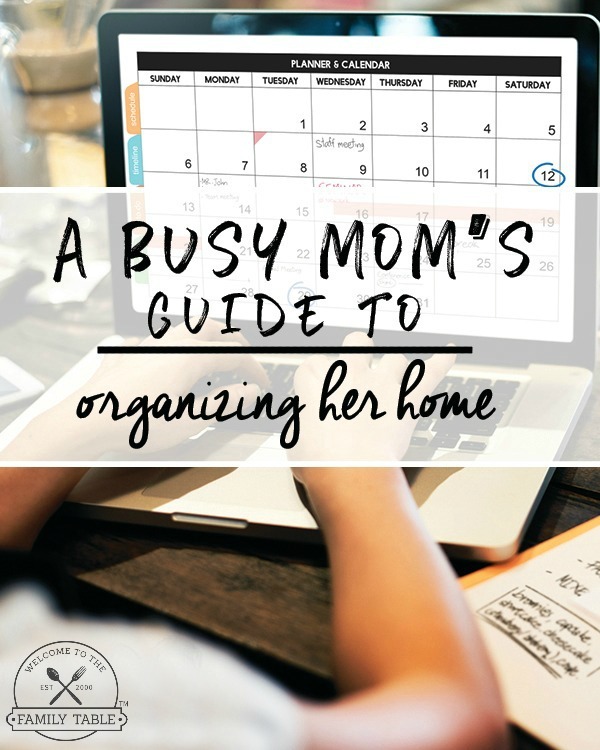 As a busy mom, it can be hard to manage the chaos of everyday life in your home. There will be days where you barely get out the door in the morning, much less unload your dishwasher. When you know you are going to start each day in a clean kitchen, it makes you more motivated to cook at home (saving a ton of money) and perhaps even tackle other rooms in your home. While many of us are busy during the child-rearing days, we can still keep our kitchen’s clean with the simple habits mentioned above. Don’t let your kitchen bog you down from a happy, productive day!